The number of U.S. homeowners who sell their houses without the assistance of a real estate professional has declined to the lowest level in nearly 35 years, as more sellers discover that the process requires plenty of work and actually nets a lower final sales price. According to the National Association of Realtors’ 2015 Profile of Home Buyers and Sellers, only 8 percent of U.S. home sellers report selling their homes themselves, the fewest since the survey began in 1981. In 2004, for-sale-by-owner transactions accounted for 14 percent of home sales, and that number has been gradually dropping since. Although some sellers might reason that they can save money by avoiding paying a commission, they are actually leaving a chunk of change on the table. NAR says that the median sales price for a home that sells under the guidance of a professional is $249,000 compared with $210,000 for by-owner sales. In 38 percent of for-sale-by-owner situations, the buyer and seller are acquainted or related, and in those cases, the median sales price plummets to $151,900. Nor should owners who opt to sell their homes themselves expect a speedier sales process. 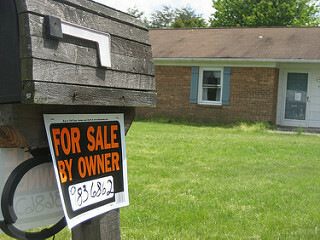 NAR says that the median time on market is about the same for by-owner and professionally brokered sales: four weeks. Sellers who choose to go it alone can expect to expend a considerable amount of time and effort on the process, beginning with researching current market conditions and regulations. They will then need to gather a list of prospective buyers and plan and execute a marketing campaign. Owners who sold their homes without a professional report a variety of time-consuming efforts essential to a successful sale: posting the listing on multiple websites, registering the property with the local MLS, creating social media campaigns, and planning and hosting open houses. An overwhelming majority of buyers — 87 percent — turn to a real estate professional or brokerage when the time comes to search for a home. Of those that did employ the services of a professional, 88 percent said that they would be return clients. Just over half of respondents said that assistance in finding the right home was the most important factor in choosing a professional, and 41 percent sought a referral from a friend or relative.